Starting primary school is a big event in your child’s life. Below we have included information that you may wish to consider when selecting the right school for you and your child. 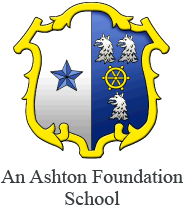 If you have any queries with regards to Reception admissions at Ashton St Peter’s, please do not hesitate to contact the school office on 01582 663410. We want your child’s first experience of school to be positive and happy. Before the end of the Summer term, your child will be invited to an induction morning at the school. This is a chance for your child to spend time in their new classroom and meet their new teacher and the adults that will be working with them. A home visit will also be arranged to help us get to know your child and to chat with you around any concerns you may have. These visits occur during the first two weeks in September at a time convenient for you. Choosing a Primary School is a big decision, whatever the age of your child. If you are moving into the area then please feel free to contact us to visit Ashton St Peter’s and ask questions. If you wish to apply for a place in the school, applications must be made directly with Central Bedfordshire Council. Parents and carers should contact Admissions (0300 300 8037) to find out the availability of a place in the school and to obtain an application form and details of the procedure. Alternatively you can e-mail: admissions@centralbedfordshire.gov.uk.